The street trees in the QPARA area are an important local amenity. They provide clean air, shade and a home for wildlife and they contribute to the character and sense of place. Well-maintained trees make our streets attractive, helping to enhance community pride and to reduce anti-social behaviour. of them, close to their original locations. QPARA members have indicated where they want trees planted. Several of the suggested sites for the new trees listed below are close to school playgrounds and main roads, helping to counteract traffic pollution and protect school children. We hope to involve local schools with the project. around our conservation area and Brent Council’s contractors will start planting them in October. In addition to the QPARA donation and CIL money, some residents are clubbing together to pay for trees on their streets. 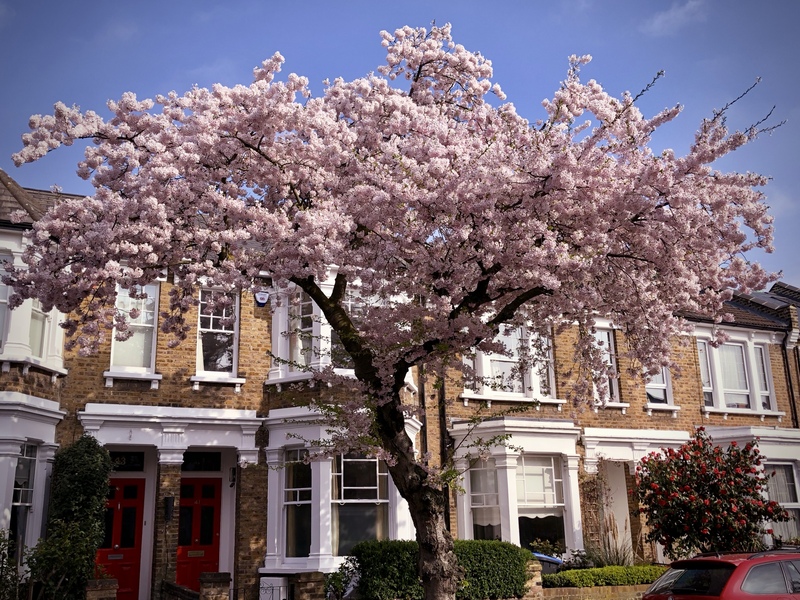 Each tree has a one-off cost of £250; if you would like to discuss having a tree planted in your road at the same time as the QPARA street trees project is being delivered, please email hussain@khan.cc. QPARA campaigned for many years for new lifts at Queens Park station and submitted a petition to the GLA last year. We were delighted to hear recently that lifts will be provided, funded under the government’s Access for All Programme and installed by 2018/19 at the latest. This is well overdue as Queens Park is one of the busiest stations on this section of the Bakerloo and has frequent Overground services to Euston and Watford. Other good news: a lift is now under construction at Kensal Rise station for the eastbound platform there, again funded through Access for All. QPARA members appreciate the frequent and general reliability of Bakerloo line services, but have noticed that the condition of some carriages is deteriorating. The Bakerloo will not be one of tube lines to have a night service from later in 2015, nor will it get new rolling stock until well after several other lines get. We have been investigating why there is some limbo, and it seems that the plans to extend the line from Elephant and Castle to south east London may be the reason. TfL deliberations continue on this after public consultation recently, and until decisions are made and funding is found the signalling, rolling stock etc may not be improved. QPARA is watching this situation closely and keeping in touch with Brent Council on it. Brent has a rolling programme of town centre improvement and identified Salusbury Road as a priority for streetscape upgrades in 2014/15. This focussed on the parts of the road where retailers, small businesses and cafes are concentrated, so it benefits both residents and also a much wider community which works and visits locally. The footways as far north as Windermere Avenue are being repaved and a parallel programme of ‘decluttering’ is resulting in the removal of many unsightly railings and old road signs and a general uplift to the vicinity. QPARA joined Brent as a partner in the scheme and proposed more ‘greening’ of the area by planting several small avenues of new trees in key settings, mostly now in place. Our members also tackled the issue of clutter outside Queens Park station and have introduced a range of attractive planters there with a range of greenery and flowers. We continue to monitor HS2’s plan to build an enormous ventilation shaft structure in the car park in coming years to sit above their tunnels on the new line between London and Birmingham. QPARA has made a submission (called a ‘petition’) to the HS2 Select Committee opposing these plans and suggesting that such an industrial type structure at the very visible ‘gateway’ to the residential Queens Park and South Kilburn areas is inappropriate. The Committee will hear representations from us and other groups along the proposed route as it work progresses through 2015/16. If these plans do not proceed then Brent has a major scheme to provide much needed housing on the site, the latter being expanded to take in a section of the gyratory system plus the large central island on which the block of flats and Falcon pub currently sits. QPARA is also monitoring a number of major developments proposed or happening on or near Salusbury Road. The HS2 or Brent scheme is one of these, but others include the new blocks of flats under construction at the entrance to Albert Road (called ‘Queens Park Place’), the proposed redevelopment of Queens Studios, and the likely sale of the police station for a new scheme – content as yet unknown. Just taken individually these schemes will have significant impact, but taken together they could affect the character of the neighbourhood quite considerably. The Albert Road and Brent schemes also include new retail provision at ground level, and this must be a possibility for the police station development, and it is unclear to QPARA how all this is being co-ordinated and its impact on local independent retailers assessed. Group members: Robin Sharp, Jamie Hope, Robert Budwig, Judy Lee, Peter Hay. If you use Queen’s Park Station and support the campaign for the installation of a lift, please sign the petition. We also collected signatures at Queen’s Park Day – thank you! 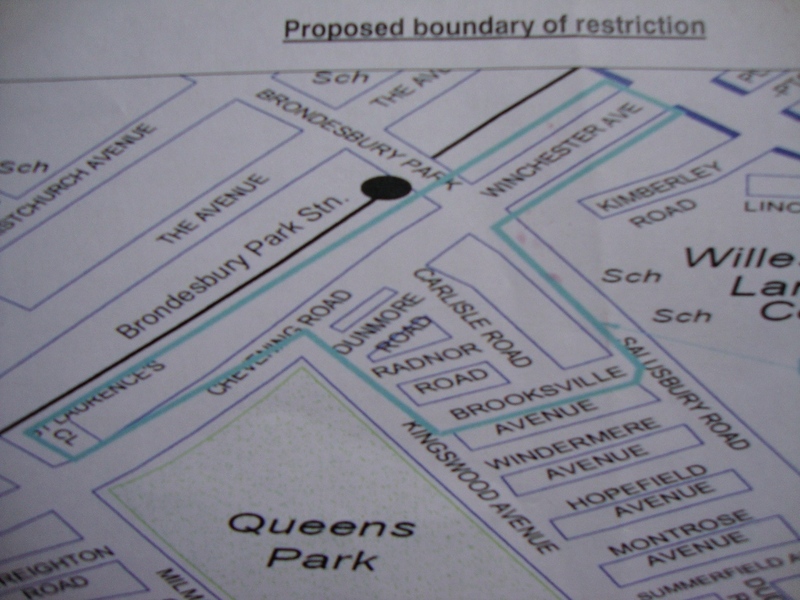 Queen’s Park 20mph zone consultation – deadline to send comments is 18 July (reference to 5th July on Brent’s website appears to be a mistake), though members have the option of sending comments to Robin Sharp to be included in a QPARA response (before QPARA 11 July meeting). 9th July to 8th/9th August, but special parking arrangements only apply on three sets of dates during Ramadan and only in a small area. The area is the whole of Brooksville and Winchester Avenues, Carlisle, Dunmore and Radnor Roads, the west side of Salusbury Rd down to Brooksville Ave, Chevening Road to Milman Road, east side of Kingswood Avenue from Chevening to Brooksville. On the dates above Residents’ Parking restrictions will apply in those areas between 8.30am and 10pm. If you live in the area you should have received a letter dated 5 July from Brent council explaining this. If residents start experiencing parking problems after July 16th they must contact the council, who will then reimpose the 10pm extensions right through until the end of Ramadan. Brent’s Parking Enforcement Team can be reached on 020 8937 4995 any day between 8am and 10pm. Transport group update (summer 2013)- we have been pretty busy! 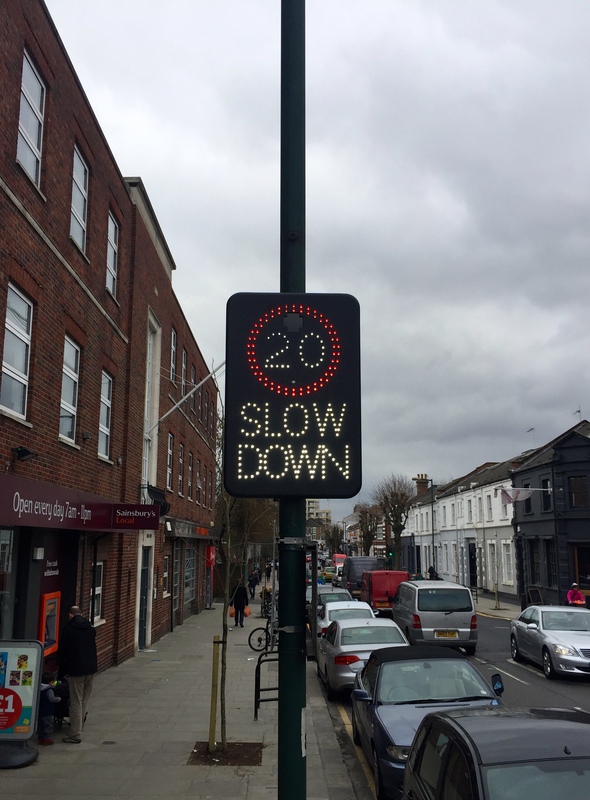 There are ongoing discussions with the council about the introduction of a 20 mph zone and traffic calming measures to cover the whole of our area – consultation taking place until 18th July. As a result of several serious accidents, one very sadly fatal and many complaints about speeding, new calming measures have finally been introduced on Brooksville avenue. This project, which has taken many months to come to fruition, was initiated by a petition from the street’s residents and fully backed and seen through by QPARA. We have striven to tell local residents about the changes to residents’ parking payments through online systems. Council officials have been to our meetings and we have passed on all the latest information as quickly as possible. There is an article about it all in our latest newsletter and the council has now leafletted the area. The Walm Lane parking shop has now closed. The idea is that we will do everything on-line or by post although how this will work for a new permit where documents including proof of car ownership and proof of address have to be shown is not yet clear. Apparently there will be a “more modern and efficient service”. The Council is replacing paper annual permits and visitor scratch cards with an electronic visitor parking system. Applying for annual permits can be done by phone or online or call 020 8937 4972 and speak to a Customer Services Officer. – differential pricing to encourage residents to apply for permits online, and to pay using direct debit. An inflationary price increase for 2013/14 is being made in April. expected to be published in April and will be published in the Brent and Kilburn Times and the Wembley Observer. QPARA continue to press Brent officials for futher details on the new procedure for obtaining and renewing Residents’ permits and the new system for visitors’ parking. This article by Jamie Hope appeared in the May QPARA newsletter. We are monitoring progress on the Queen‘s Park station Car Park site to see whether a housing & retail project or a ventilation shaft for Hs2 wins the day! Our members also attend meetings of other local interest groups concerned about Hs2 to keep an eye on developments. We are chasing London Underground, TfL and the council to see if any improvements might be made to Queen’s Park station: particularly disabled access and the installation of lifts. There have also been increases in Pay & Display parking charges. For more info please go to: http://www.hs2.org.uk/. 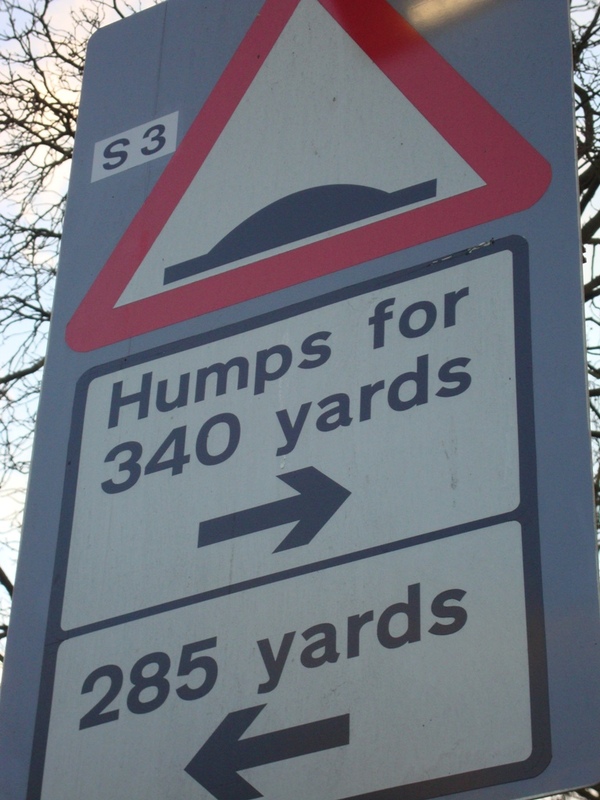 do we want more road humps? The Queen’s Park Area will be covered by a Council review and consultation in the financial years 2012/13 and any changes resulting from this will be implemented in 2014. This may include the introduction of a 20 mph zone and traffic calming measures in streets surrounding the park. Tim accepted that there is a problem across Brent with school runs. The council is trying to address this by encouraging schools to draw up Travel Plans. Meanwhile they are trying to enforce traffic and parking controls by schools by giving on the spot tickets and using cctv and smart cars to deter illegal and dangerous parking and driving. Another area of recent activity has been the monitoring of noise and vibration on the North London overground. We try to keep members up to date on Council consultations e.g. changes to parking permit charges, introduction of Car Club bays etc.